Not just an assessment! The SSPS™ is a step-by-step process to move from self-protection towards self-actualization and being who you are meant to be. The Striving Styles Personality System raises the bar for current approaches to development because of its multi-disciplinary approach. It shows you how your brain governs the behavior of your personality, determines what your predominant psychological need is, and includes a clear roadmap for emotional, relationship and career development. The SSPS is not just about ‘behavior’ but about how the brain is organized and how it functions. It shows you how you to break habits of mind and address emotional issues that are getting in the way of your development. The SSPS gives individuals, organizations and developmental practitioners working with clients a powerful framework for alleviating suffering and expediting development. As an SSPS Practitioner, you can take advantage of discounts and administer the assessments directly to your clients. The SSPS is not just an assessment: it’s a complete system for personality and brain development. It is multi-disciplinary: integrating theories from several fields of psychological study. You would have to complete multiple assessments to get the same insight. The SSPS focuses on the emotional needs that determine why people behave the way they do, rather than just on how they behave. It includes easy-to-relate-to archetypes, rather than codes or colors, so people immediately understand what each one means. It helps people understand the difference between when they are being self-protective vs. self-actualizing, so they can make conscious choices about their behavior. It includes a complete Roadmap for Development to guide people's movement toward self-actualization by breaking long-standing patterns of dysfunctional behavior. It also includes activities for development that are based on the latest research in how the brain learns, develops and matures. The SSPS Developmental Framework is based on models of social and emotional intelligence, which eliminates the need to use mulitple approaches or programs to facilitate client development. The SSPS Qualifying Program is designed for anyone interested in using the Striving Styles Personality System in their life, their business or their practice with clients. The program consists of 20 modules, all of which are available online so you can complete the training at your convenience. The final module includes a test of knowledge. Qualified SSPS Practitioners are able to administer Level I Assessments and purchase Striving Style products for their clients directly and at a discount. Intended for practitioners looking to work more deeply with their clients using the SSPS, the Licensing Program provides you with advanced training on using the Striving Styles Personality System. In addition, only Licensed SSPS Practitioners are able to administer and interpret Level II Assessments, which provide more customized, in-depth insight into the client's brain organization. The program consists of 30 online modules plus a one-day in-person workshop. For more information on becoming an SSPS Practitioner, visit us at www.StrivingStyles.com. Take the Qualifying Program if you already have a practice; would like to start a career in the helping professions; or want to better understand the people in your life. 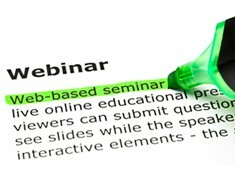 Take as long as you like to do the Qualifying Program by doing individual e-learning webinars over time. I was ignoring my need to be connected because my husband does not share it. Now, we have negotiated how we can both get our needs met. What a difference!"